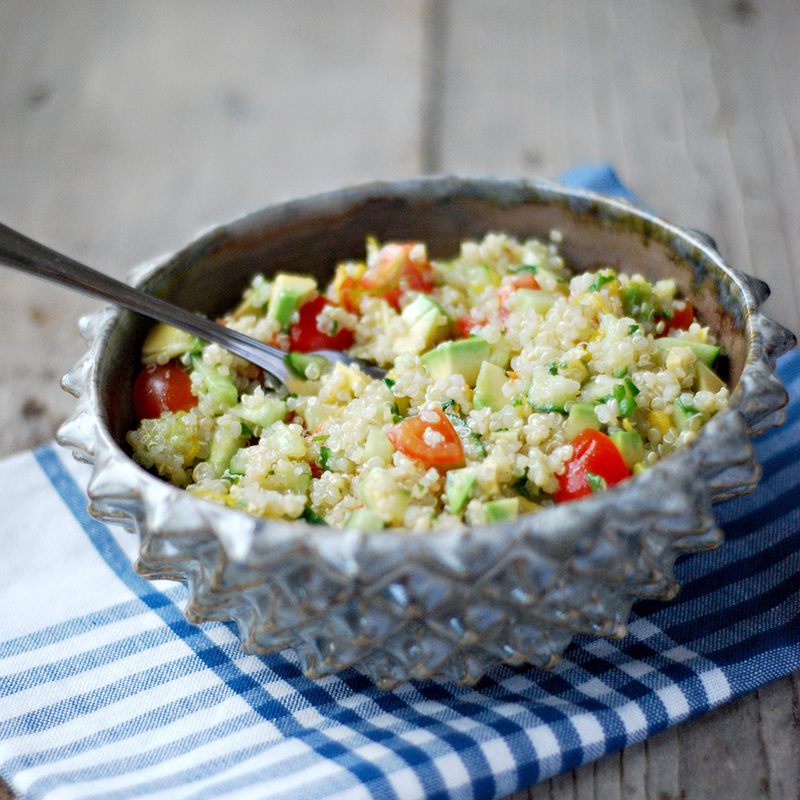 Tabouli or Tabbouleh is so refreshing and is perfect for a summer salad. Well, it’s no really summer here in London but I decided to do this anyway as it’s light and delicious. Quinoa grains contain essential amino acids like lysine and good quantities of calcium, phosphorus, and iron. As you will see below I mix the vegetables first and then add the quinoa and that is because if I don’t the quinoa will absorbs all the dressing and leave the vegetable tasteless. Mix together the garlic, lemon juice and zest, cucumber, tomatoes, avocado, parsley and salt in a salad bowl. Pour the quinoa and mix with the vegetables.